Professor Burton has consulted on cancer control for 4 international agencies in more than 20 developing countries in the last 15 years, prior to and during which he was the Director of the Cancer Council Victoria from late 1995 to mid 2002. He was the WHO staff technical expert in 2005 assisting the Chinese Government to produce the first draft of their national Chronic Disease Control Plan. He has consulted more than 20 times for WHO and the IAEA-Program for Action on Cancer Treatment (PACT). 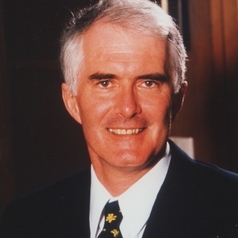 He was a member and second Chair of the Australian Cancer Strategy Group (1998-2006) and was involved in the development of the first and second Australian cancer control plans.He practised as a vascular/transplant physician and surgeon for 25 years, which included 12 years simultaneous practice as a medical oncologist. He has published more than 210 scientific papers and reports,including in Nature, Lancet NEJM, BMJ and J Exp Med, and a number of book chapters.